Here is something of interest….it was quite a while ago since I wrote about arrack spirits. 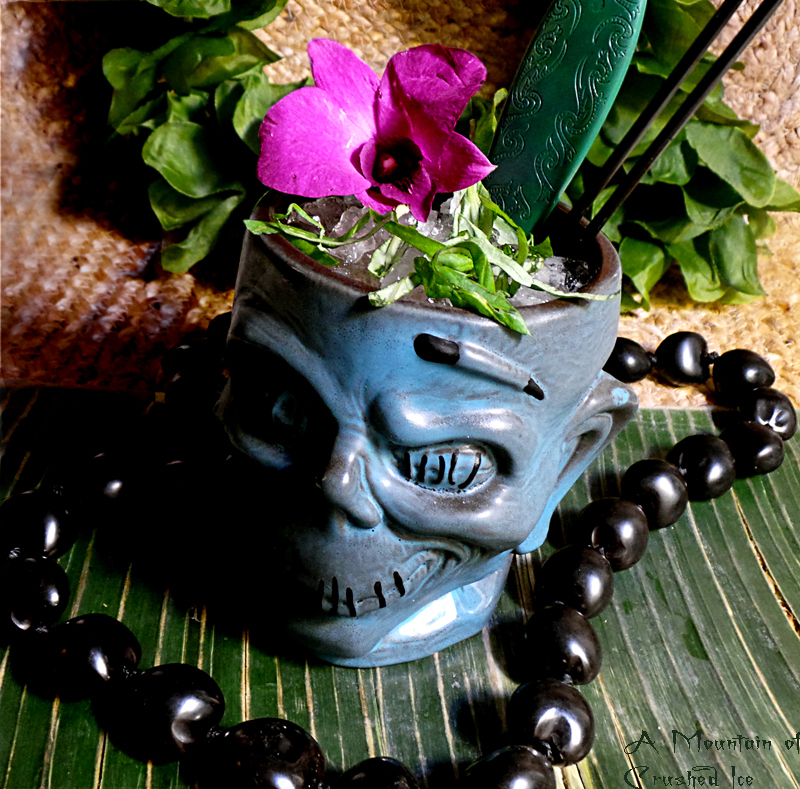 I have always liked it as a cocktail ingredient since it adds a certain funk adding a specific edge to the drinks…and needless to say it suits tiki drinks very well. The original word “araq” is Arabian and was associated with the distillation process when the knowledge of how to distill spirits spread in the Middle East and Asia during the 14th century and the term arrack was used for distilled spirits in general but “Batavia Arrack” is a term specifically for molasses based arrack distillate. 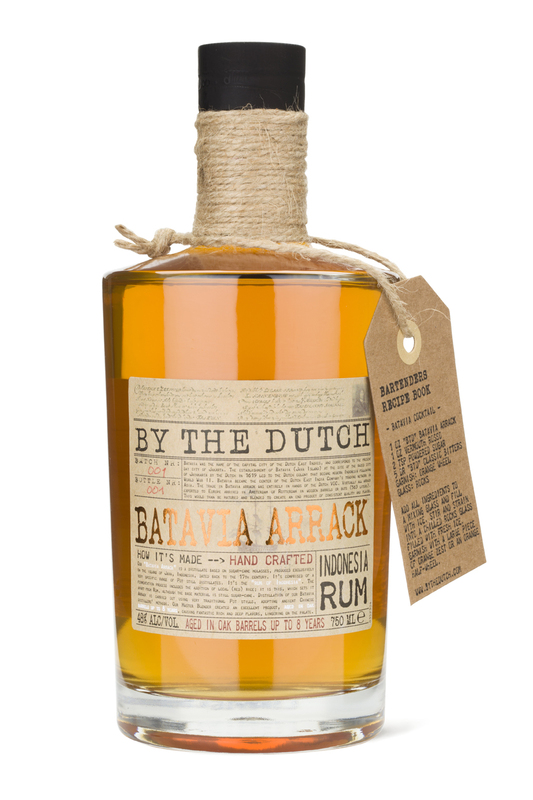 “By the Dutch” Batavia Arrack is a 48% abv distillate based on sugar-cane molasses produced on the island of Java, Indonesia with methods dating back to the 17th century. It’s comprised of a specific range of pot still distillates originating from the East Indies. Local red rice is used in the fermentation process being added and mixed to the yeast before adding to the water and molasses and it`s this, which sets it apart from rum, although the base material is still molasses from sugar-cane. Distillation of Batavia Arrack is done with traditional old Chinese ancient copper pot stills and ageing is done in oak barrels up to 8 years and the result is rich and deep. The ageing and blending takes place in the Netherlands. Some call it “Indonesian rum” due to the very similar process in the making and inclusion of molasses but personally i`d rather classify it as simply “Batavia Arrack” since the red rice is not part of rum making plus it adds a distinctive flavor to the product which also sets it apart. As somebody living in Sweden I learnt early what Batavia Arrack was since it´s part of the Swedish Punsch which I use very occasionally as a cocktail ingredient. It`s also part of a type of punch-rolls and other chocolate candies that are very tasty. And also and this is very interesting, it´s also a part of the ingredients in the GunRoom Navy Rum made by Renbjer & Magnusson which I have reviewed earlier. Distilling process: 1. Fermentation of the wash from molasses (sugarcane by-product), water and added local red rice, in wooden vats up to ± 8% abv. 2. The ready wash is distilled in vintage Pot-stills up to ± 30% abv. 3. Second distillation in other pot-stills up to 60-65% abv. 4. Batavia Arrack has been stored and shipped to Amsterdam. 5. Batavia Arrack is matured in large oak casks in Amsterdam. 6. Batavia Arrack is blended according to an unique and secret recipe by the master blender and brought back to 48% abv. Batavia was the name of the capital city of the Dutch East Indies, and corresponds to the present day city of Jakarta. The establishment of Batavia (Java Island) at the site of the razed city of Jayakarta by the Dutch in 1619 led to the Dutch colony that became modern Indonesia following World War II. Batavia became the center of the Dutch East India Company’s trading network in Asia. Virtually all arrack exported to Europe arrived in Amsterdam or Rotterdam in wooden barrels or buts (563 liters). This would than be matured and blended to create an end product of consistent quality and flavor. I find the taste of this Batavia Arrack to be very much like a shortly aged rum and it´s not harsh at all even though it got some fire and it also got quite a bit of “herbal” funk a la Smith & Cross style actually but it´s still has it´s own distinctive taste. It´s an interesting flavor that can be had on the rocks or in mixed drinks. So with that it´s time to drink! Shake the ingredients together except the soda. Pour into a tall glass and top with soda, then add chiffonade basil for garnish and if you wish, a tropical orchid. One thing this drink has is pronounced arrack and rum flavors and at the same time it´s refreshing due to the fresh lime, basil and soda. The drink is slightly earthy and herbal and it´s delicious. 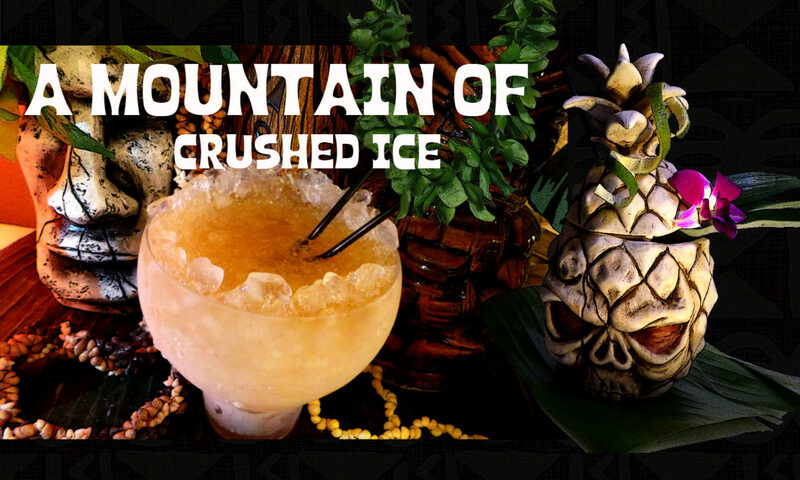 Shake with plenty of crushed ice and pour unstrained into a tall glass or tiki mug. 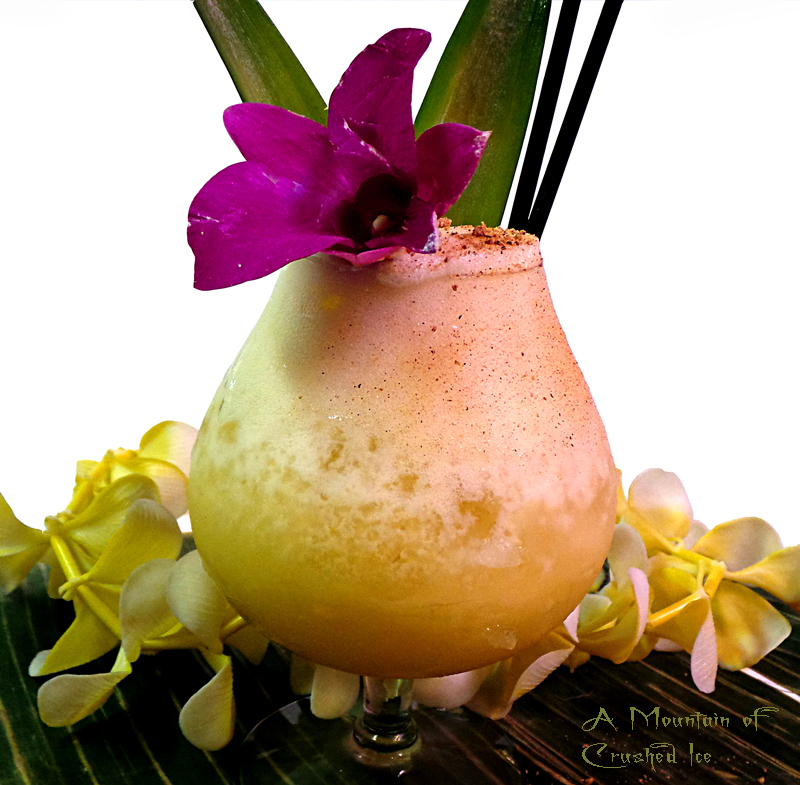 Dust with nutmeg and garnish with pineapple leaves. And a float of Cruzan Blackstrap can only do good….. 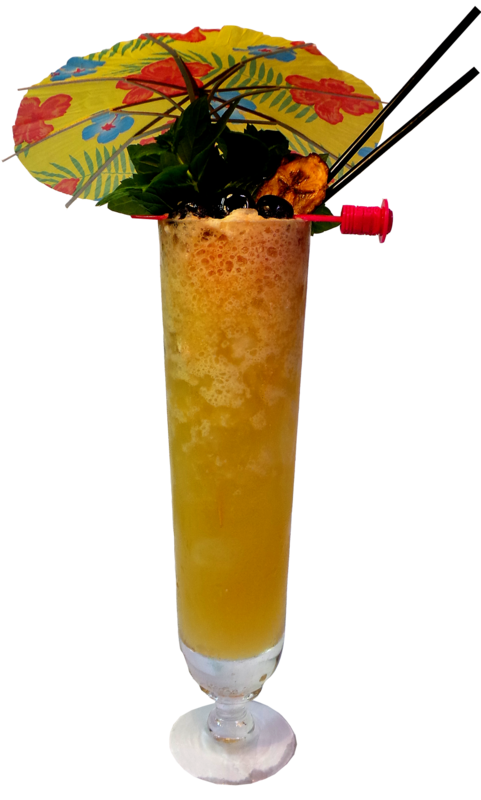 Since there´s quite a bit of juice in this the arrack flavor is less pronounced but it´s there, mingling in the middle and the drink is quietly doing it`s job! 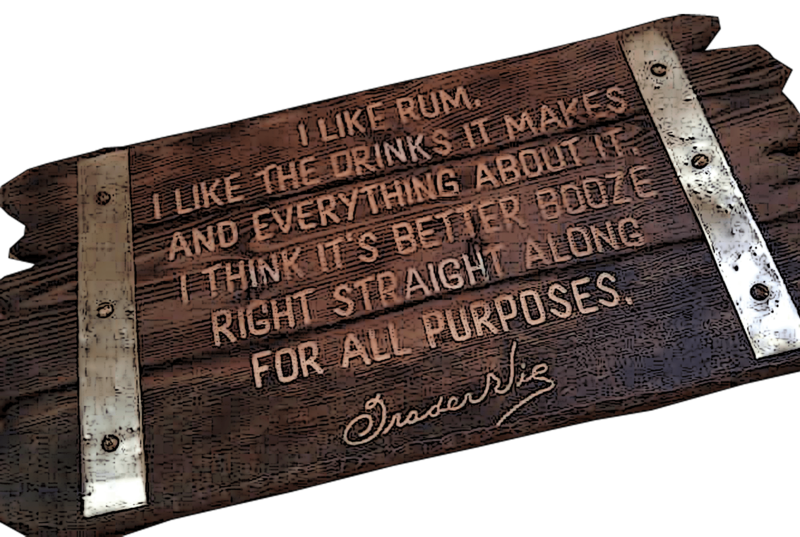 Final thoughts – I find this product to be as nice as I thought it would be, I love the funkiness it adds to cocktails and even though I haven`t made it on the rocks here i`m sure that tastes good too. I can recommend trying this out! I think your arrack is super nice! lovely to mix with! Thank you Helena for the nice article. We really appreciate your opinion and we hope you’ve enjoyed this special spirit. Cheers. Next PostNext Lost Spirits is Back!